Searching for hair inspiration? Take a look at our collection of runway hairstyles from February’s New York Fashion Week. We’ve rounded up some of the most interesting looks for the coming year – start clicking! 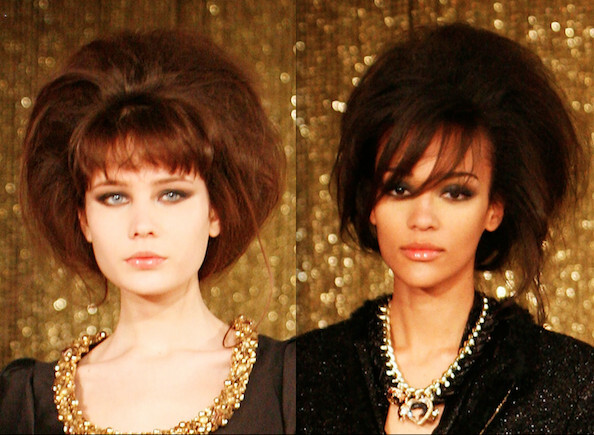 At Badgley Mischka’s Fall 2010 presentation, many of the models had their hair twisted in futuristic, voluminous updos, with their hair teased vertically at the crown. Meanwhile, the models at Elie Tahari’s show looked decidedly natural, with hair styled in loose, center-parted waves that complimented the barely-there makeup. 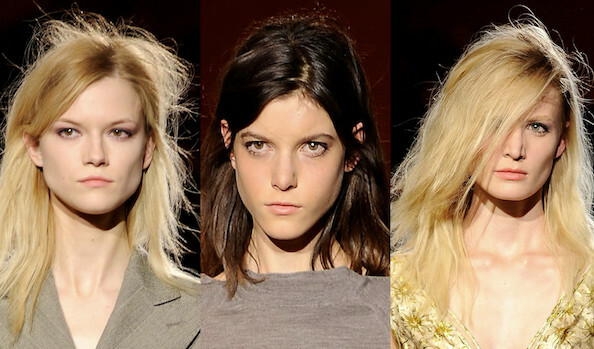 The women of Marc Jacobs were sporting serious bedhead during the designer’s much-praised Fall 2010 presentation. 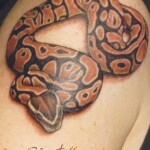 Lazy people everywhere should rejoice in this style moment. At Tadashi Shoji, models wore their hair styled stick-straight and parted in the center for a distinctively early ’70s look. 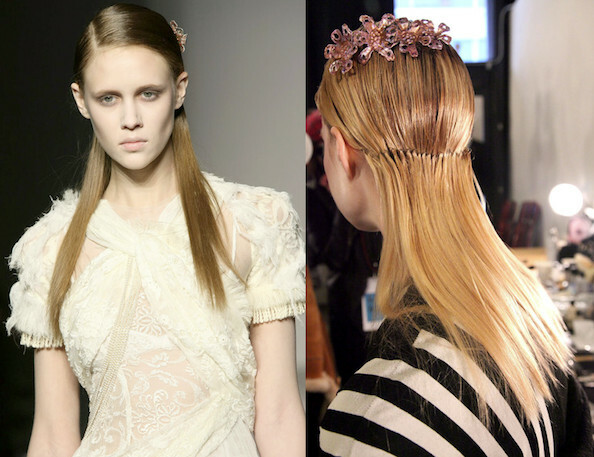 At Rodarte, many of the models wore intricate hair pieces in stick-straight hair that was held in place near the napes of their necks. At Mulberry, the British brand showed a ’60s-inspired collection, replete with complementary smoky cat-eye makeup and great, big bouffant hairstyles. Some models had a modern edge to their looks, thanks to side-swept bangs. The stylists backstage at Dennis Basso let the clothes do the talking, keeping the models’ looks simple and clean with hair drawn back in center-parted buns. 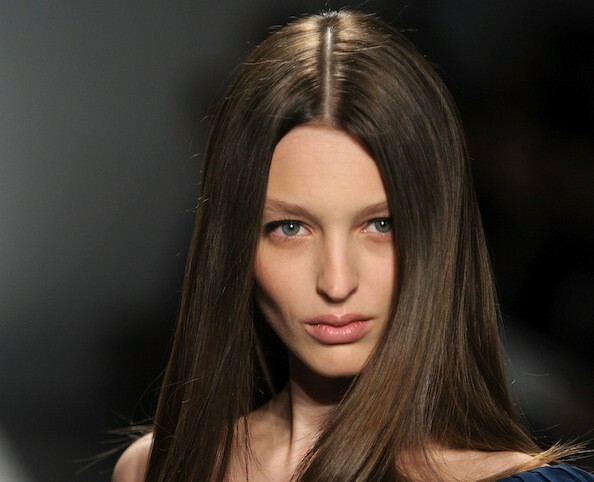 The beauty beat at Max Azria’s Fall 2010 presentation was similarly paired down, with most models wearing their hair in super slicked-back ponytails.